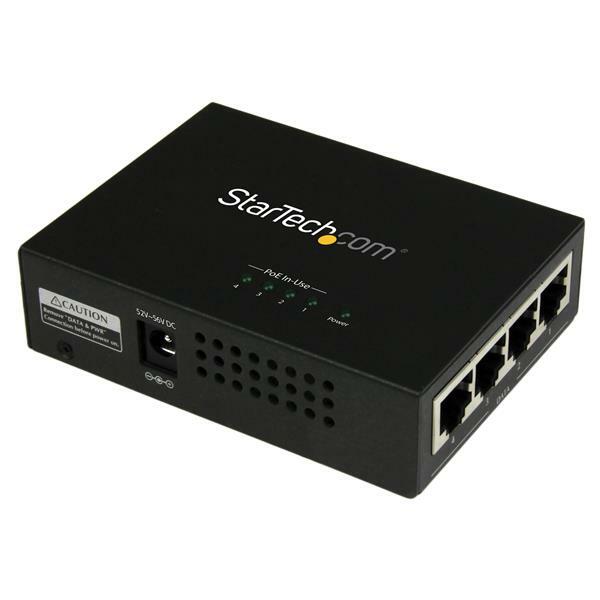 This Gigabit midspan PoE+ injector is a cost-effective alternative to upgrading your existing network switch to a PoE-capable model. 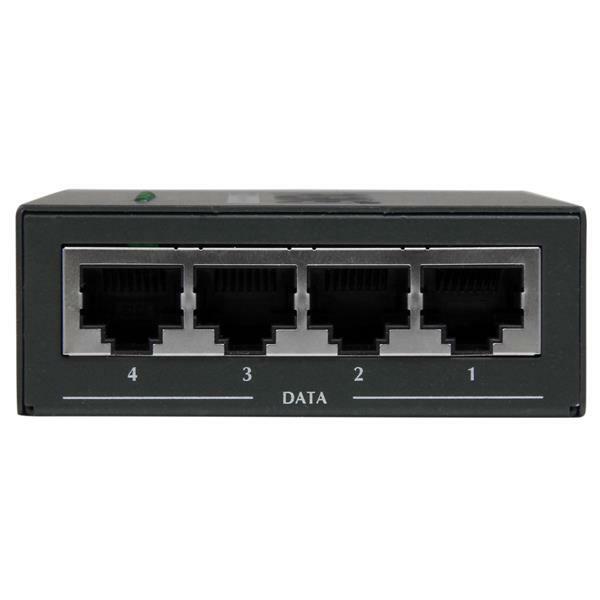 It supplies up to 30 Watts output to each port, so you can easily power and access up to four high-power PoE-compliant devices — such as IP cameras — using standard Ethernet cable. 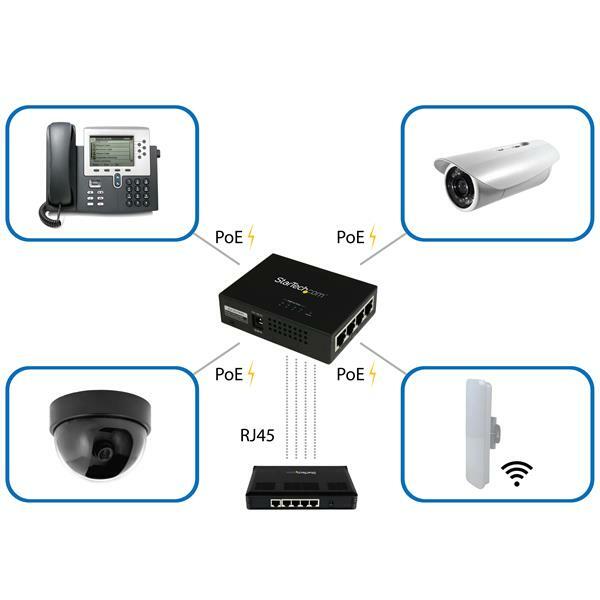 This versatile midspan PoE+ injector is suited for almost all PoE device classes, including wireless access points, as well as IP phones and cameras. 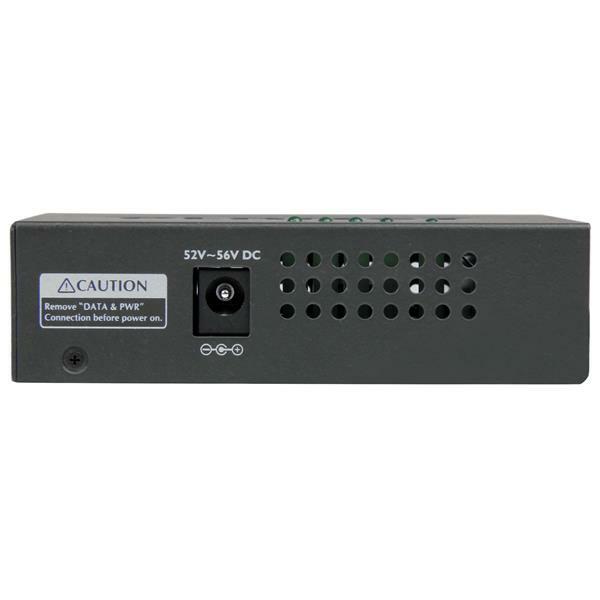 The high-power PoE+ injector offers 120W total power distribution and delivers full power — up to 30.8W — from each port. 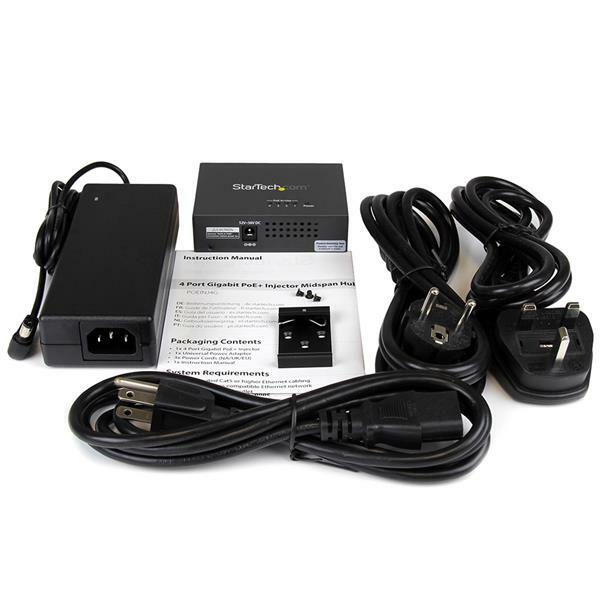 Now, you can easily scale and power your PoE+ devices across long distances, even in remote locations where a typical power outlet is unavailable. 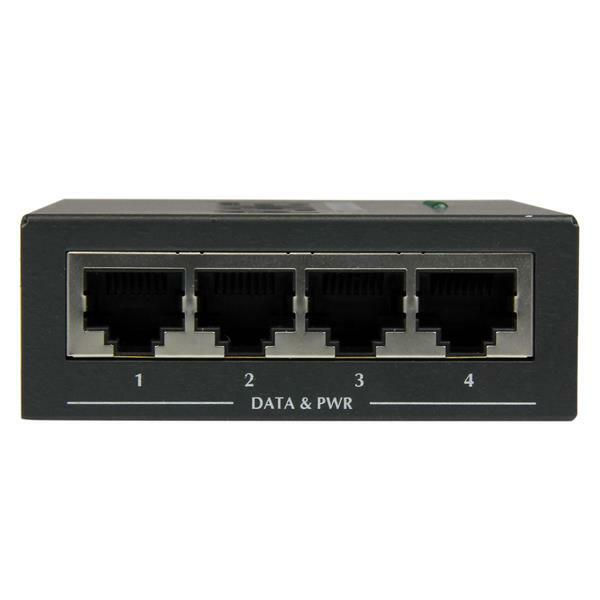 Plus, the cost-effective Power over Ethernet+ injector lets you connect your PoE-powered devices (PDs) to a non-PoE-capable switch, avoiding the expense and aggravation of upgrading your existing switch to a PoE-enabled model. This injector is the perfect solution for a variety of environments. It features a wall-mountable rugged metal casing, but is palm-sized making it perfect for desktop placement too. With plug-and-play operation, you can enjoy fast and hassle-free setup without disrupting your workflow. Not sure which class your PoE devices are? 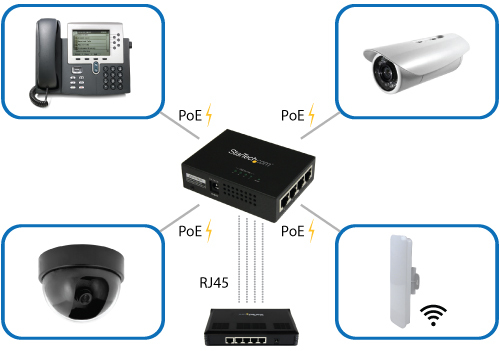 The Gigabit midspan PoE+ injector automatically detects the power requirements of your PoE PDs, and delivers the appropriate level of power without damaging your devices. With integrated circuit protection between each port, your devices are also protected from power interference. The POEINJ4G is backed by a StarTech.com 2-year warranty and free lifetime technical support.